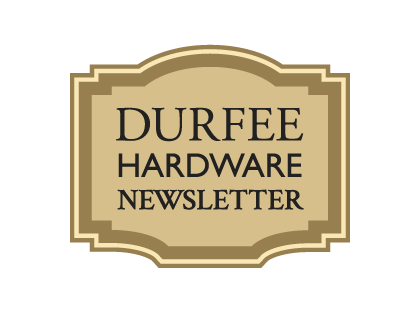 If you like Durfee’s store experience and service, why not also like us on Facebook? Snow is in the forecast! We have all sorts of winter needs. (For me, I really need those hand warmers!) If you are really in need, you can also buy our ice melt by the pallet! I wonder how it is that you become a “do-it-yourselfer”. I recall that my brother got pneumonia and was laid-up in bed. He ended up reading a Chilton’s book on how car engines work to pass the time. That book got me interested in how cars work as well. So some time goes by and I get to high school and I decide to take auto-shop. I was interested in it enough that I tried out for the Plymouth Troubleshooting contest and was picked for the team that went to the competition. They take a bunch of cars and they intentionally put the same problems in each car that need to be solved. Then they put them on a football field and the first team of 2 people to drop the hood signifying they are done wins. In preparation for the contest, there was an occasion where I almost got seriously injured when we had a miscommunication and my partner “turned over” the engine when I was working in the engine compartment. That lead to our teacher buying a “starter button” so that I could turn the engine over myself. Well we went to the contest and dropped the hood first but we did not come in first in the competition because we left a tool in the car. It was the starter button! I’m not sure if the Plymouth Troubleshooting contest even exists anymore, but I think experiences like that are valuable. They teach you a general way of approaching how to fix things (not just cars). My brother tried to start his generator and it just wouldn’t start. We got out the starter fluid and it sounded like it wanted to start, but would not. We concluded that it was the gas filter that was clogged so it would not continue to run after the start fluid got used up. Somehow we lost the knife sharpener, can opener, and a couple of bottle openers at my house recently. I bought all those at Durfee’s. As far as the can opener goes, buying a cheap one is just not worth the hassle, so I bought the OXO brand instead and it works great.